What ultimately sets Delta Sigma Pi apart from other college business groups as America’s foremost professional fraternity are our consistent structure of professional and personal development, and our lifelong commitment to supporting our members and maximizing their impact in the world. 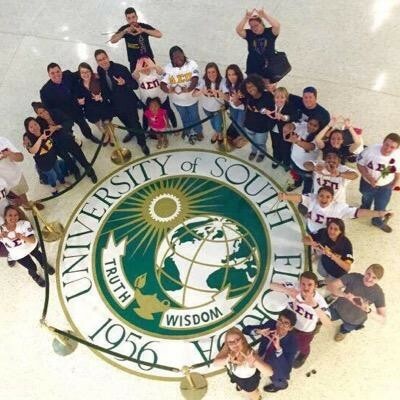 Help yourself stand out from a crowd and get ahead by joining Delta Sigma Pi! We offer the opportunity to gain skills that one can bring to the corporate world, friends for a lifetime, and the self-satisfaction that comes with helping out groups in need in our community. We provide the best of both worlds with our social side of Brotherhood and the professionalism of our business operations. We offer leadership opportunities to practice theories learned in class, the resources to try new ideas, and the chance to lead a team of Deltasigs. With the leadership skills you gain in Delta Sigma Pi and the social networks you gain access to you will find yourself well prepared for graduation and ready to take on the real world! Bring out the leader inside you and check out Delta Sigma Pi today.